It is my very great pleasure to welcome you all to Swellendam. We are honoured by your presence, and inspired by your work I would like to congratulate, and thank, Swellendam Rotary Club, District 9350, and Rotary International for selecting Swellendam as the venue for this District Conference. For more than 110 years Rotary members have been working to better our world in a variety of ways, and you can be truly proud of your international track record as Problem Solvers and Community Builders. Your endeavours in supporting education and in seeking sustainable solutions to poverty remains our two most important challenges as a nation and as a local community. Since 1745 Swellendam has been grappling with issues of national importance. In fact, in 1795 a number of agitated and irate locals, having caught whiff of events in France six years earlier, decided to take matters into their own hands, and went so far as to make a Unilateral Declaration of Independence… and established the Republic of Swellendam! Firstly, the unacceptably high levels of crime and the then Dutch Government at the Cape’s inability to deal with this effectively. And thirdly, the generally poor state of the economy, and the adverse effect that this was having on the local community. However, for Swellendam and surrounds, in the past 5 years a great deal has in fact changed. For instance, in line with our objective to grow the local economy, this Municipality has in recent times achieved record spending levels on infrastructure. In fact, never in the history of Swellendam has so much money been spent on essential bulk infrastructure over such a short period of time! Also, we are proud to share, that in the past three years this community has produced a World Champion Tug-of-War team, an Olympic medallist in Bowls, the Provincial Farmer of the Year, the Best Teacher in the Western Cape Province, SA’s best Young Internal Auditor of the Year, together with Swellendam being recently named the Most Eco-friendly destination in Africa! And last year the respected and independent think-tank and research NGO, Good Governance Africa, rated Swellendam Municipality, out of 278 municipalities in the country, as the No. 1 Municipality in South Africa! You might well ask... How is this possible? How has this been achieved? This, I would venture to say, is what lies behind the relative success and prosperity of Swellendam. And so, we learn from you, we are inspired by you, and we wish to extend our warmest welcome to all delegates from far afield, beyond our borders, and the United States. 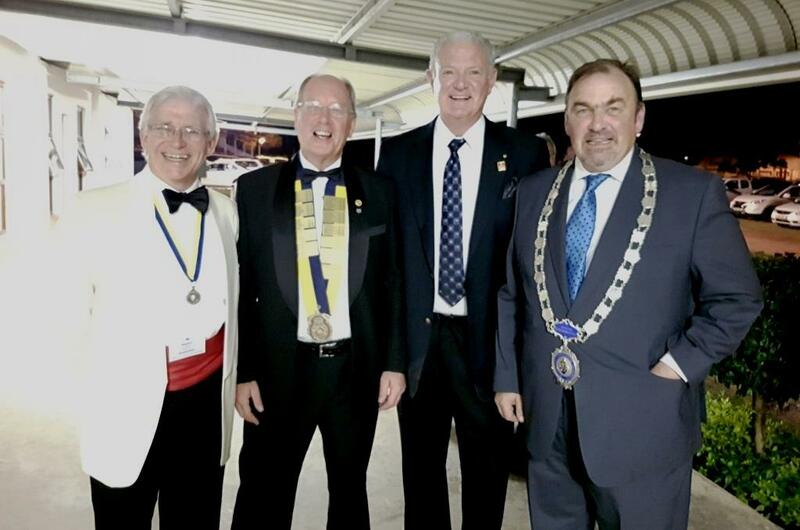 May this conference be the catalyst for creative and innovative ways to advance the cause of Rotary International, and may it serve to facilitate a lasting association with Swellendam and all her people!